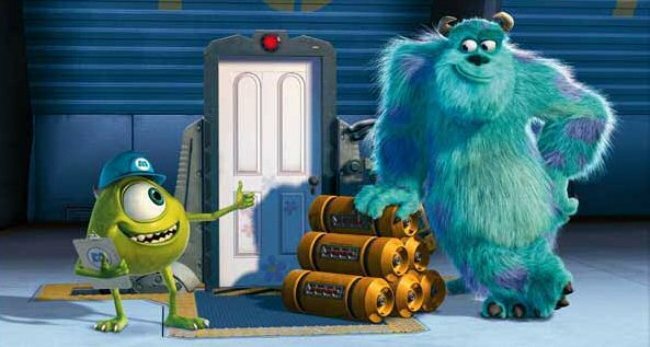 Wait, Monsters Inc. Technology Could Be Used To Charge Your Smartphones? No, we’re not powering phones with your screams… though that is entirely feasible with this technology. Just imagine a world powered by the horrified screams of your enemies. One day maybe… Ahem. Researchers in the UK have developed a way to charge smartphones with sound. Nokia and Queen Mary University of London(QMUL) has worked together to convert sound waves into energy for your phones using Zinc Oxide. This work is inspired by the improvement of solar cells when pop and rock music is played. The researchers at QMUL and Imperial College London discovered last year that sound vibrations increased efficiency of solar cells by up to 40%. The team found that the solar cells respond better to the higher pitched sounds in pop and rock music compared to classical music. Motivated by this, the team worked to produce a way to harvest sound vibration and turn them into energy. Zinc Oxide is capable of generating a voltage when stretched or squashed. Using this key property, Dr. Joe Briscoe and Dr Steve Dunn from QMUL is able to break the Zinc Oxide down to a nano level and fill the prototype phone with these nanogenerators. The nanorods are coated onto a plastic sheet with aluminum foil as the electrical contact. Aluminium foil was used instead of gold in an effort to cut cost so this technology may be more practical for mass production. These nanorods respond to sound vibrations and the electrical contacts then harvest the voltage to charge the phone. “Being able to keep mobile devices working for longer, or do away with batteries completely by tapping into the stray energy that is all around us is an exciting concept,” said Dr. Briscoe. Alternative Power Source for Your Phone: Sweat! Only recently, the researchers at the University of California, San Diego (UCSD) created tattoo stickers capable of converting lactate in your sweat into electrical current to power battery. Initially only used to monitor patient’s lactate levels for doctors, the team decided to experiment with further uses of the tattoo. The patch collects electrons from the lactate in your sweat and powers a small biofuel cell. While it is currently able to harvest only a miniscule amount of power, the researcher from UCSD are hopeful to boost the efficiency and eventually power small devices like heart rate monitors, watches, or even smartphones. Hopefully we will be able to see this technology used to power phones in the near future! All those powerbanks will just be expensive deadweights when you can just scream into your phone to power it. Meanwhile, if you can get your hands on 800 apples and potatoes and if you have loads of spare time and energy, perhaps you could set up a circuit like Caleb Charland to charge your mobile phone as well. Also read: Wouldn’t it be so much cooler if the rumored iPhone 6 had these features?